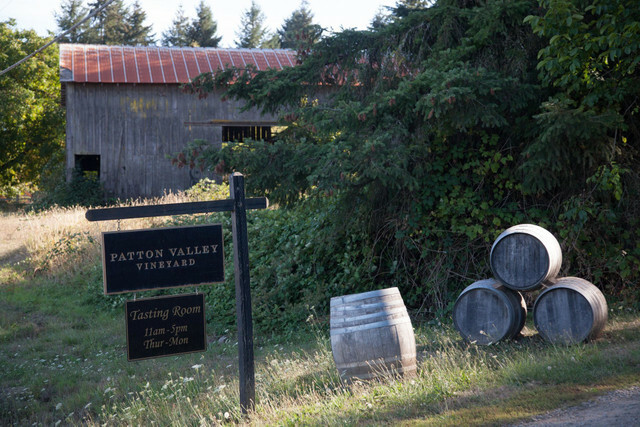 Want to see the Tualatin Valley without having to hop in a car? That’s easy to accomplish with Portland’s MAX light rail. 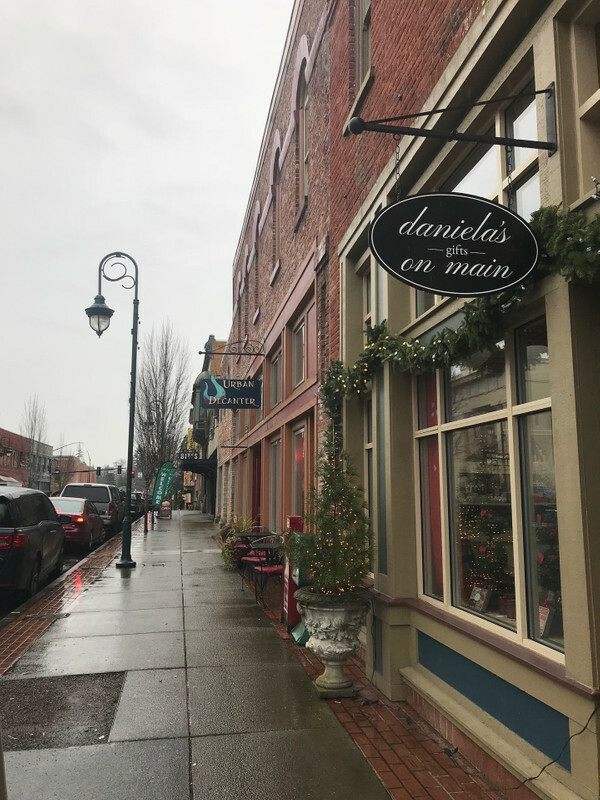 Hop on from Portland International Airport or downtown Portland to take a ride through the small town of Forest Grove, by a variety of farmland, around a serene lake, and past famous wineries. 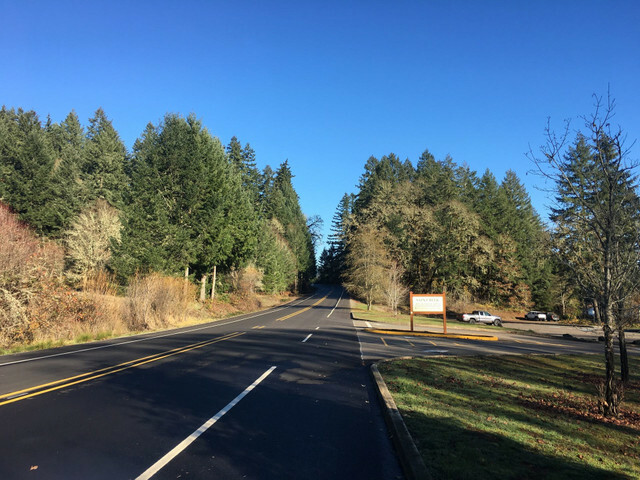 # Route Description The Western Tualatin Valley Car-Free Loop lets cyclists experience a fantastic ride without the need for a car. 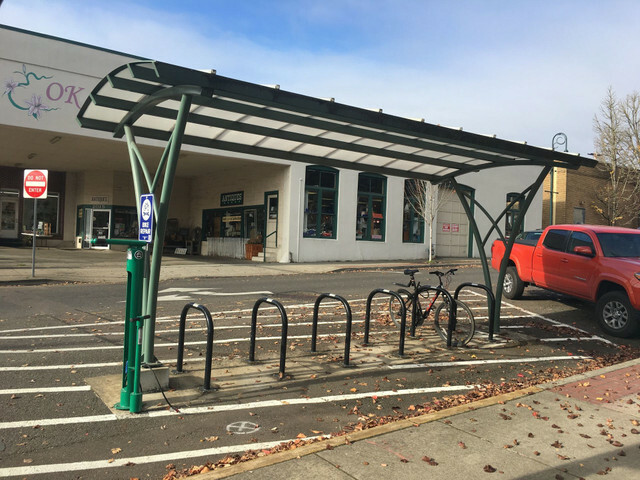 Cyclists can use the MAX light rail from Portland all the way to the route's starting point in downtown Hillsboro. 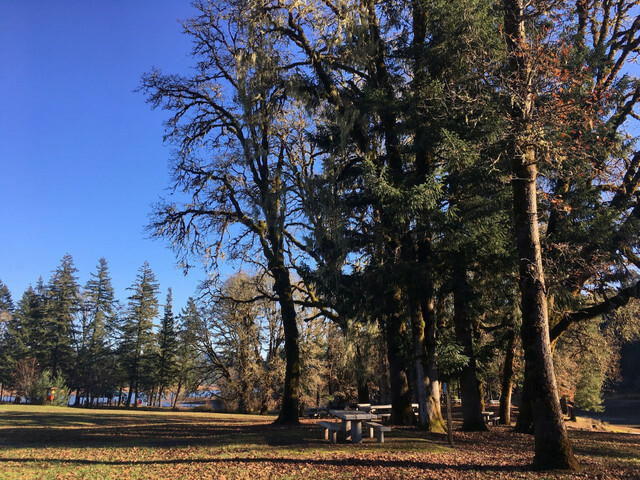 From there, pedal through the small town of Forest Grove, by a variety of farmland, around a serene lake, and past famous wineries. This route is best for intermediate to advanced cyclists. 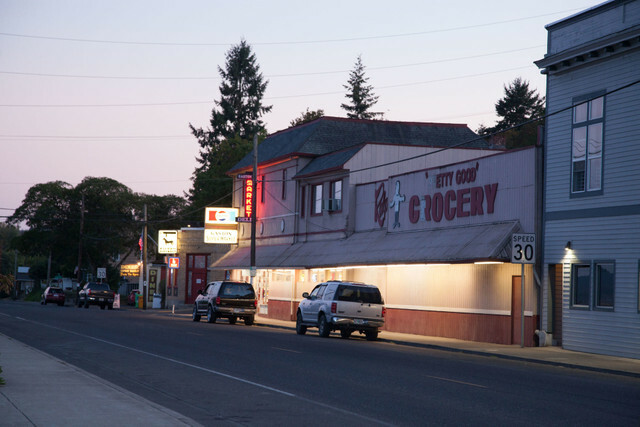 The route begins along @slice[Main Street, Hillsboro](d,127.97,725.87) with easy road cycling through one of Oregon's most charming downtown stretches. Curving onto Southwest Baseline Street, cycle past the historic @point[Hillsboro Pioneer Cemetery](d,1323.49). Established in 1860, the cemetery is believed to be the oldest cemetery in Washington County and is the final resting place for many of the area's important pioneers. 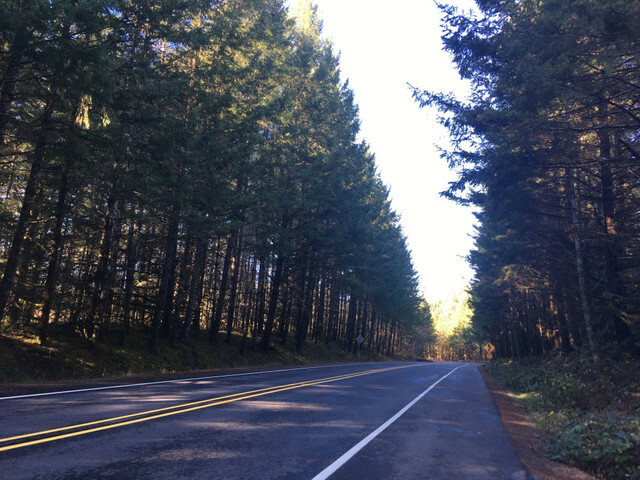 The route continues onto the more agricultural roads of Cornelius, followed by the charming college town of Forest Grove. 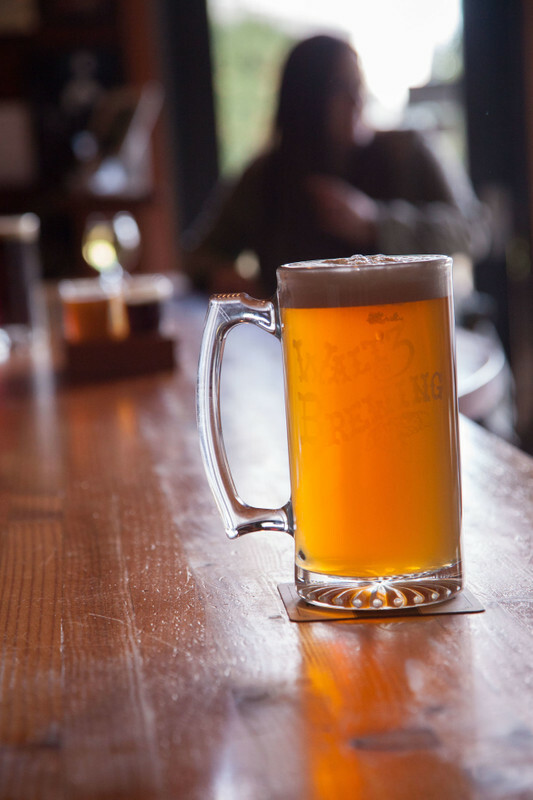 In downtown Forest Grove, @poi[Waltz Brewing](9587263) offers its rustic charm with its come-as-you-are atmosphere (spandex shorts and helmets welcome). 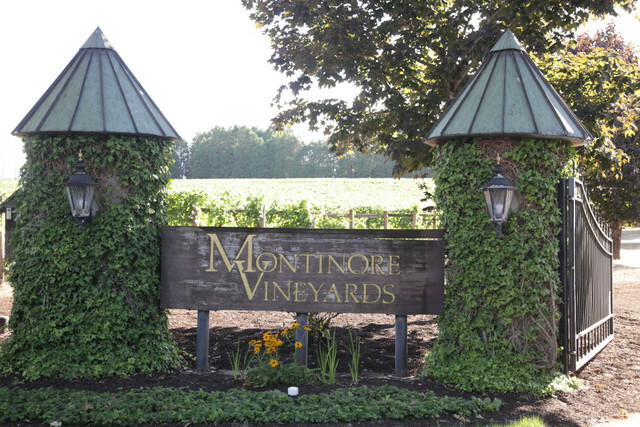 Exiting the main downtown area, the route changes scenery once again as the paved roads sweep into wine country. 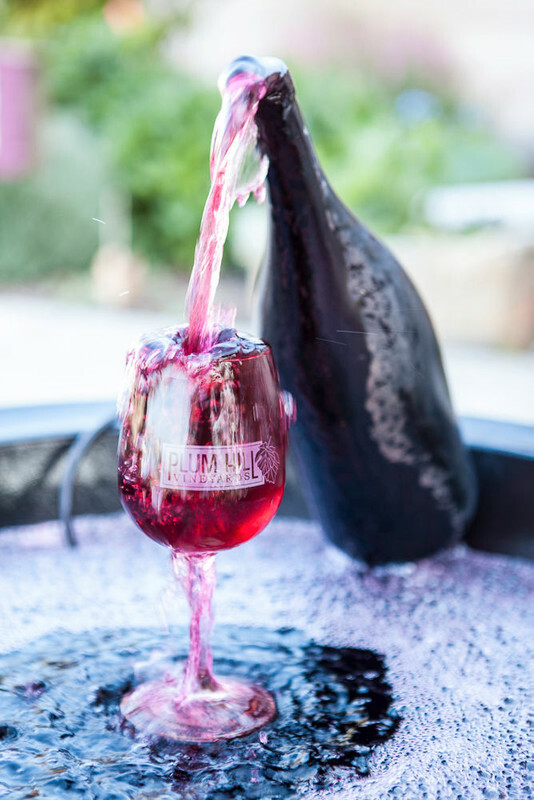 For a picnic break and vineyard views, stop at @poi[Montinore Estate](9587252) or Gaston’s @poi[Plum Hill Vineyards](9587254). 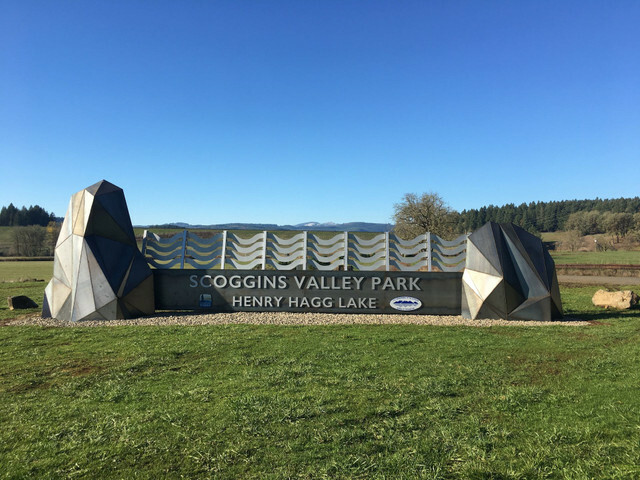 The highest elevation gains of the route occur while circling around @slice[Scoggins Valley Park/Henry Hagg Lake](d,22689.78,39331.01). This loop within the larger loop includes 10.5 miles of paved roads. A seven-foot-wide shoulder promises a safe and comfortable ride around the lake’s perimeter. 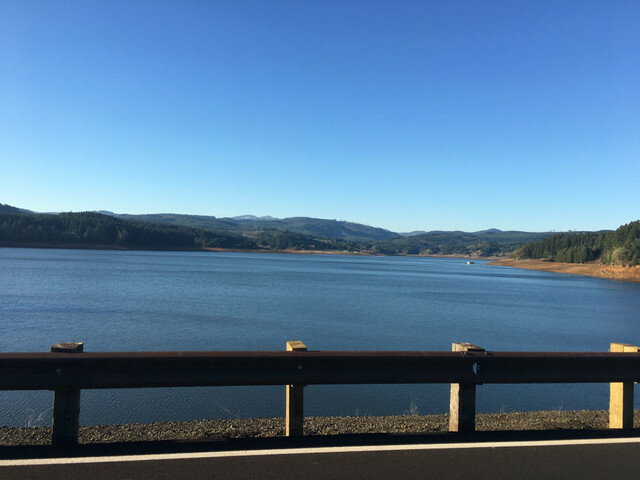 Surrounding the lake, there is access to multiple observation decks and recreation areas, including: * @poi[C-Camp Recreation Area, Henery Hagg Lake](9587236) * @poi[Sain Creek Recreation Area, Henry Hagg Lake](9587237) Exiting Henry Hagg Lake, there is an alternate option back to the start of the trail by turning south on Southwest Old Highway. 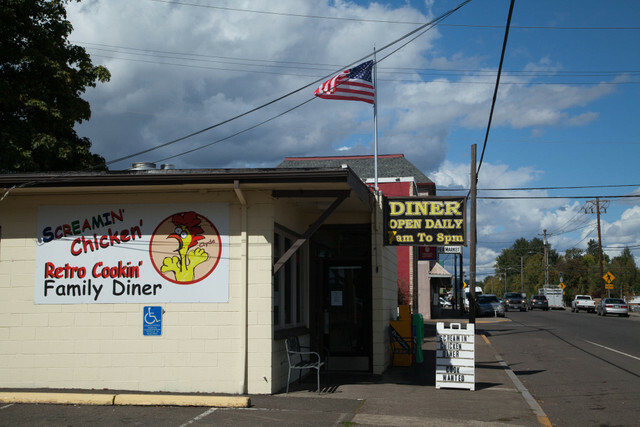 Just after mile 29, the @poi[Screamin’ Chicken Diner](9587242) is a restaurant with fantastic comfort food. 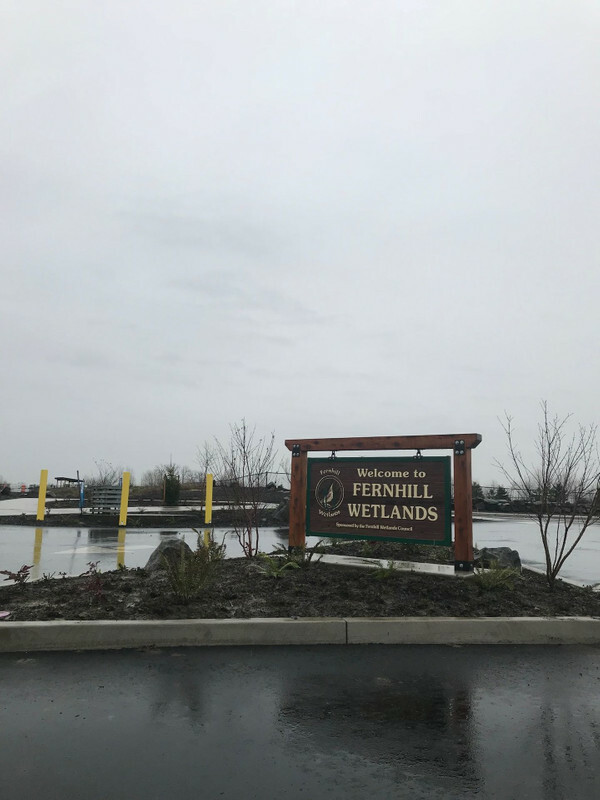 At mile 36, take a water break at @point[Fernhill Wetlands](d,58002.53). The site encompasses nearly 800 acres and attracts various wildlife, including herons, hawks, eagles, beavers, otters and mink. 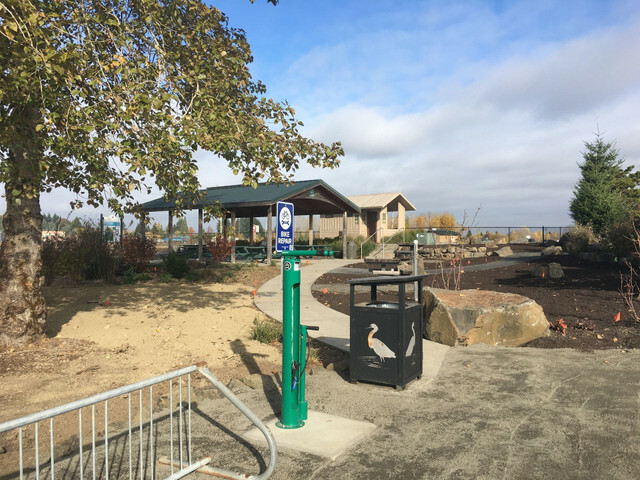 Amenities include public parking, restrooms, picnic shelters and short trails with viewing stands. 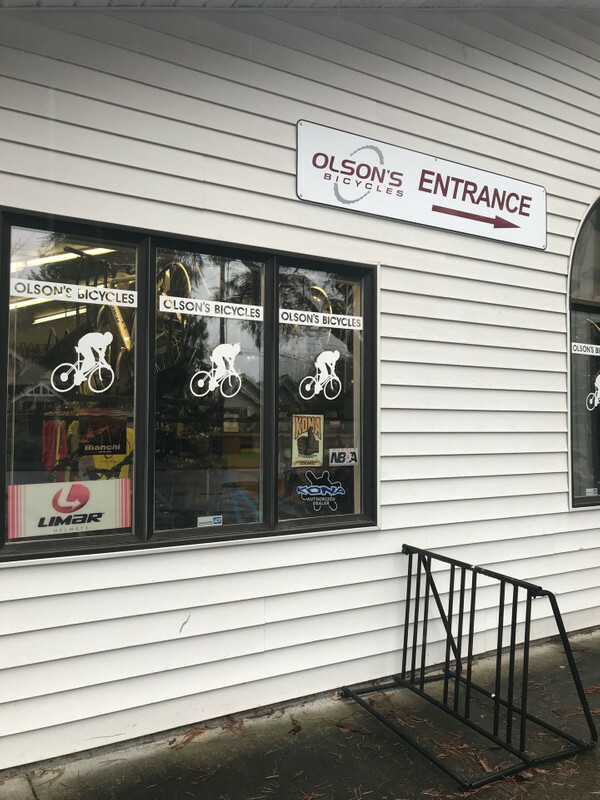 # More resources Before beginning the ride, there are multiple resources and eateries available near the route start in Hillsboro: * @poi[Washington County Community Bike Center](9587244) * @poi[Insomnia Coffee](9587248) * @poi[McNally's Taproom](9587251) * @poi[Primrose & Tumbleweeds](9587255) # Important Reminders This route includes rural roads with car and truck traffic. 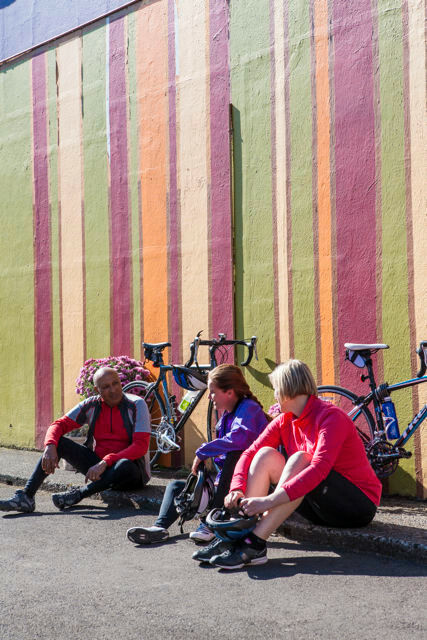 This route is best for cyclists who are comfortable riding in some amount of traffic.